Mr Golf’s Ultimate Range is a 9-hole par 3 golf course in De Pere, Wisconsin. This 3 par layout provides for a fun golf experience for golfers of all skill levels. 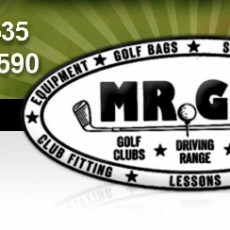 More information about Mr Golf’s Ultimate Range will be coming soon. Online tee times may be available at Mr Golf’s Ultimate Range or at nearby golf courses, often at a substantial discount from the going green fees rate. Note: Sometimes there will be inaccuracies, even though the info is typically valid. Should you happen upon any issues with any courses, please let us know. Beneath this text, aerial imagery should load of Mr Golf's Ultimate Range at 3111 Monroe Rd, De Pere, WI 54115. If you can't find the course, try panning around and looking at the surrounding area.